Even if money is tight, there are still plenty of ways to have an exciting summer. In fact, the best summer memories are often made up of small, simple pleasures. When the heat's on, don't sweat the big stuff. Take time to sip lemonade, read a good book, and enjoy the beauty of nature. At LDS Living, we've looked, asked, and researched the top twenty-one things to do before summer ends. 1. Take a Hike.Being outdoors is like owning a pet - there's just something healthy about it. It feels great to get back to nature, so while the weather is nice, why not explore some of the wonderful parks, trails, and reserves near your home? Bring a magnifying glass and pair of binoculars for a closer look at insects, birds, and other wildlife. 2. Read a Biography. Books are an easy vacation you can fit under your arm. They are distractions our tired brains love, and there are few things as gripping as a good biography. Many people throughout history have lived lives of achievement and inspiration. So bring a blanket and find some shady trees - they were made for reading good books. Peel three fat lemons. Cut them into smaller pieces. Drop the pieces into a blender with 1-1/2 cups of sugar and 1-1/2 cups of water. Use the blender to chop until coarse, then strain into a pitcher. Add ice cubes. Adjust as needed. 4. Host a Neighborhood Block Party. Summer is always a season of change, meaning at least one new family will move into the neighborhood. So why not host a potluck block party and give everyone a chance to get to know one another better? You can oftentimes obtain a special permit from your city that allows you to block off the street. 5. Go on a Field Trip. Remember the time you were reading about the art museum that wasn't far from your home? Summer is the perfect time to explore all that your community has to offer. How about visiting an aquarium, aviary, or zoo? Or try your state capitol building. 6. Sleep Outside. Most of us have fallen asleep outdoors a few times in our lives, or at least slept with the window open. Brigham Young once said that summers were meant for sleeping outdoors, and that the fresh air does the mind good. So take a trip back to your school days and enjoy sleeping under the stars. 7. Go to a "Dive-in" Movie. Sometimes you need to take a break from the sticky summer night heat. One great way to spend a summer evening is cooling off while watching a good movie. Many water parks show movies on giant screens while people relax in the pool. Can't find any in your area? Opt for a matinee. A nice cold soda and a dark, cool theater can provide a much-needed break from the hot summer sun. 8. Take a Dip. Studies show that 86 percent of all the swimming you'll do in your life is completed before you're twenty years old. And most of that was done in the summer. Make this the summer of swim. Visit the community pool, or better yet, take a trip to the ocean or a nearby lake. You can do some beachcombing or fishing while you're there! 9. Have a Yard Sale. Yard sales are a great way to get organized and cleaned up before the school year starts. Get your kids involved and let them earn some money. They may not want to give away some of their toys, but they might be interested in selling them. Have a yard sale - and don't forget to sell some of that good lemonade. 10. Eat Homemade Ice Cream at Sunset. Making ice cream is one of the crowning events of any summer - eating it while watching a beautiful sunset makes it even more special. This event needs to be planned and executed as though your summer depends on it. Go all out - get berries, cones, and whipped cream to dress up simpler flavors, which are easier to make and tend to turn out better than complicated flavors. Make it a fun time you'll always remember. 11. Attend a Concert in the Park. Many cities host a series of free concerts during the summer months, often with a wide variety of music from Celtic to bluegrass to classical. So grab a blanket or a lawn chair, pack a picnic, and sit back and enjoy! 12. Go Horseback Riding. Most people don't have the chance to ride horses very often, so saddle up and go on a mini adventure. Even if you're not an experienced rider, there are many businesses that can accommodate beginners. This will be great for kids, too, who tend to enjoy close contact with animals. 13. Visit an Amusement Park. If horseback riding isn't your style, you can always opt for a horse on carousel. Most amusement parks have something for everyone to enjoy. Even if you'd rather not take a spin on the roller coaster, there is sure to be dancing, singing, or some kind of entertainment for you to enjoy. 14. Attend a Festival. During the summer months, festivals are everywhere. So grab the kids and spend the day learning about the food, crafts, history, music, and dance of another culture. From Greek to Scottish to Polynesian, you're sure to find a great cultural event to attend. Check your local paper for dates and details. 15. Shop at a Farmers' Market. Local farmers' markets are overflowing with fresh, delicious fruits and vegetables. In summer, you're sure to find perfectly ripened tomatoes, sugar-sweet corn, and delicious watermelon. Go to localharvest.org or farmersmarket.com to find a farmers' market near you. 16. Pick Fresh Fruit. You can also enjoy the bounty of summer by going to the farm yourself to gather juicy strawberries or plump blueberries right from the field. Later in the season, try picking peaches or apples from a local orchard. Check pickyourown.org to see if there is a kid-friendly farm in your area. 17. Clean Up a Park. With the kids out of school, it is often hard to keep them busy with productive, meaningful projects. So grab some gloves, some garbage bags, and a rake and head to your neighborhood park. After you finish cleaning up, let the kids spend some time at the park to enjoy the fruits of their labor. 18. Build a Fort. Kids love to have a special place of their own. Let them drape sheets and blankets over some tables, chairs, and piles of couch cushions for a few days, or round up some scrap lumber and cardboard boxes for the perfect outdoor escape. 19. Attend a State or County Fair. A great event for the whole family, local fairs usually have carnival rides, games, food, entertainment, competitions, crafts, and displays. It's the perfect way to celebrate your local culture. 20. Go Stargazing. Warm summer nights are perfect for stargazing. You can make it as simple as admiring the stars in the night sky, or, with a little planning, you can catch meteor showers, locate constellations, and even find out when other planets will be visible. Find a secluded area near your house that has less light pollution so you can enjoy the full glory of the night sky. Go to stardate.org for lots of tips and a weekly calendar of celestial events. 21. Complete a Triathlon. Races are popular and common in the summer, and the days are long enough to give you ample time to prepare. Find a "sprint" triathlon, a form of triathlon that typically includes shorter, more achievable distances for novice racers. Your whole family can participate in the training, making it a summer of health. It can also bring you closer together as you all work towards a common goal! If you can't race, find out how you can assist with one. Have you ever tried to lecture your children on the importance of empathy, cooperation, and kindness? Older kids tune out faster than you can say "b-o-o-o-o-o-ring." Younger children don't understand what you're talking about. Luckily, teaching kids values doesn't have to be a dull experience. Here are seven ways to do it without preaching or nagging. 1. Plant a garden. Growing even a single flower can demonstrate how perseverance pays off—but it's more fun to nurture a small garden instead. The trick is not to try your children's patience too much. Sharon Myrie, vice president of education at the Brooklyn Botanic Garden, suggests going with marigolds and zinnias, since they're easy to grow. Sunflowers are also great because kids get a kick out of their height. When everything's in full bloom, have your kids make a bouquet for a neighbor, which will teach them thoughtfulness too. If you plant vegetables instead—peas and radishes grow fast—you can cook and eat them, a wonderful demonstration of the satisfaction self-reliance can bring. Bonus: "A child is much more willing to eat her veggies if she's planted and tended them herself," Myrie says. 2. Reach out to an older person. Brighten the days of a senior citizen in your community, and your kids will quickly learn respect for their elders. Make a basket of muffins or home-baked bread, and have your children deliver it to an elderly neighbor. When you go to the supermarket, check whether you can pick up a few items for a senior who can't get around easily. Or, if your son or daughter takes music lessons, arrange a recital at a nursing home. It will not only entertain the residents, it may spur your child to practice a little harder. 3. Have a toy wash. David Newell—Mr. McFeely on Mister Rogers' Neighborhood—recalls an activity that the beloved Fred Rogers often recommended to instill a sense of responsibility in kids. Put your child's washable toys in a bin and fill two dishpans with warm water, adding soap to one. Demonstrate how to clean off the toys in the soap-water bin and rinse them in the other, then lay them out on a towel to dry. Children love water play, so this chore seems more like fun than work. Sing, "This Is the Way We Wash Our Clothes" as you work together, substituting "toys" for "clothes." When you're through, tell your child, "You're doing a great job of taking care of your things!" 4. Design homemade thank-you cards. Here's an arts-and-crafts project that teaches kids to express their gratitude in a creative way. Sit down with your child and make cards out of construction paper, crayons, stickers, and whatever else is in your art closet. Keep the notes handy, and help your little one send them out whenever someone gives him a gift or comforts him on a difficult day. You can either hand-deliver one or tuck one into an envelope and mail it. To show your child how good it feels to be appreciated, send him a thank-you note on an occasion when he's been especially helpful to you. 5. Start a scrapbook. Kids can't develop strong values until they have enough empathy to gauge other people's emotions. To help your child learn to read nonverbal cues, gather up copies of your (or his) favorite magazines and flip through them together. Instead of focusing on the words, study the people in the photos. Talk about what kind of mood they're in, judging by their expressions and body language. Rip out the pages and let your child help put them in a binder, or cut out the faces and paste them in a scrapbook. Later, look at the pictures again, and talk in depth about the emotions you identified. Point at a face and ask whether it's okay to feel that way (the answer, of course, is yes, no matter what emotion is depicted). 6. Clean up for good. Want to teach your kids the joys of being charitable and declutter your house at the same time? Have them pick a local cause they believe in, and sell their old stuff to raise money for it. Help round up outgrown toys, books, clothing, and sports equipment, then set a date to hold a yard sale. Encourage little ones to color a poster to advertise it. On the big day, your kids can sell lemonade or, if they're old enough, collect customers' money. When the sale is over, they'll be proud of how much they earned. Plan for everyone to personally deliver the proceeds to the charity. 7. Be a pal. The "buddy game" is a wonderful way to help children learn to be unselfish, since it shifts their focus to another family member. And getting started is easy: Put everybody's name into a hat at breakfast, then have each person take a turn drawing from it. For the rest of the day, instruct each person to look for nice things to do on the sly for his buddy—it could be anything from leaving little gifts to playing his pal's favorite game. 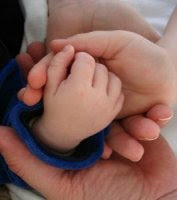 (Mom or Dad can help the youngest children think of sweet gestures.) The element of secrecy makes it fun. Family Prayer. Doctrine and Covenants 68:28. "And they shall also teach their children to pray, and to walk uprightly before the Lord." Keeping the Sabbath Day Holy. Mosiah 13:16. "Remember the sabbath day, to keep it holy." The first Friday in June is National Doughnut Day. First celebrated in 1938 by the Chicago Salvation Army, the day was dedicated to raising funds to honor Salvation Army women volunteers who served coffee and fresh doughnuts to thousands of soldiers during World War I. In fact, women who fried the doughnuts for troops during wartime were called “doughgirls.” The term “doughboy” referred to the soldiers who ate the doughnuts. Today the U.S. alone consumes about ten million of these tasty treats each year. So what is the most popular variety? The traditional yeast-raised glazed doughnut. To celebrate National Doughnut Day and get a free glazed doughnut, stop by your local Krispy Kreme store on Friday, June 5.